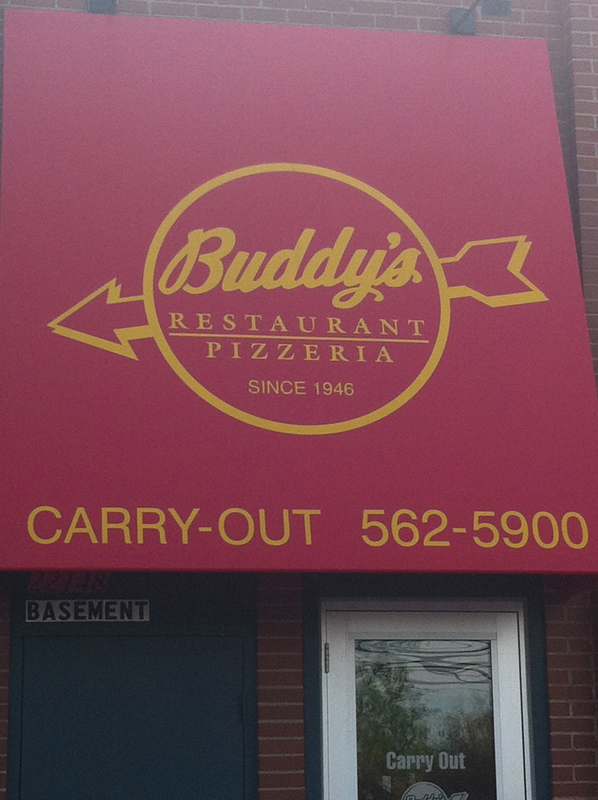 As I was walking/running through the Rouge River Gateway trail in Dearborn, I suddenly had a craving for Buddy’s Pizza. Anyone who knows me, knows that I work out because I like to eat. A lot! So, I called Buddy’s for a take-out order, and told Sally (the woman who answered the phone) that I couldn’t decide between their Redwings pizza and their The Henry Ford pizza – both not on the regular menu, both with bleu cheese, and both delicious (and unhealthy) treats! Sally chuckled when I asked her to pick one and surprise me, but she quickly said “Okay, it’ll be ready in 15 minutes!”. 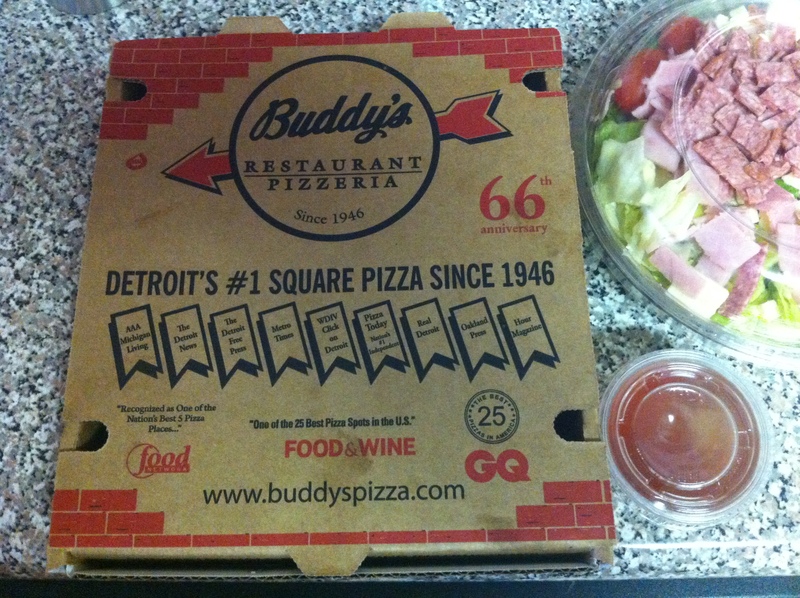 When I showed up at the Buddy’s Pizza take-out counter, I was presented with a small Antipasto salad (Buddy’s has a fantastic Antipasto) and a four slice pizza. She had chosen The Henry Ford pizza, which has bacon, sausage, tomatoes, bleu cheese, and spices. It totally hit the spot! 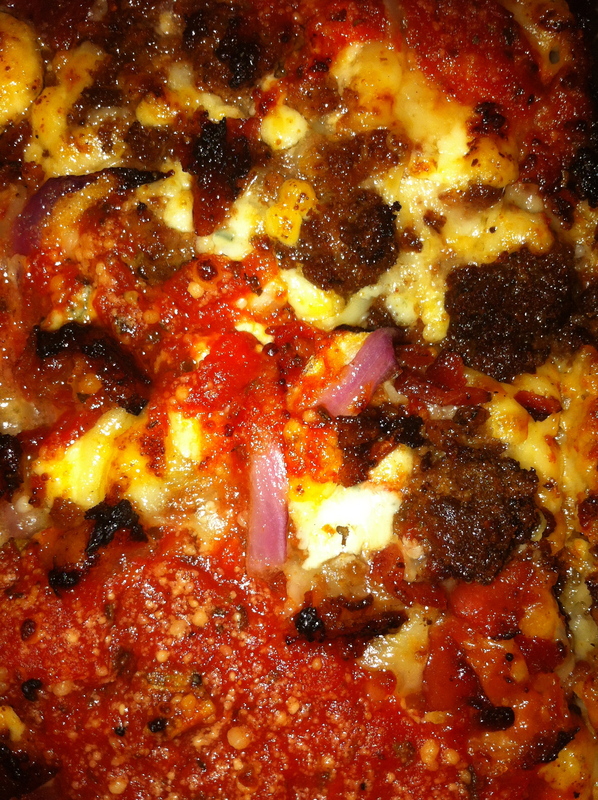 The Henry Ford pizza, up close and personal. Sometimes it’s not about giving up total control to the service staff, but even just being indecisive about a few things can lead to a fun surprise during a meal! PS. I love that Buddy’s caters to Gluten-free eaters – especially since my brother has Celiac’s and can’t eat gluten.